from the Aurelia homologation documents, the classic Lancia sliding pillar front suspension, used from the 1922 Lambda through the 1960s in the Appia. The Aurelia featured the sliding pillar suspension, a particular design that had first been used by Lancia in their 1922 Lambda. This particular suspension was a trademark of all subsequent Lancias, used not only for all the cars before the Aurelia, but also for the Appia, up until its replacement in 1963 by the Fulvia. The suspension has an integral spring and shock absorber (all made by Lancia in house) working around a large vertical set pin internal to the assembly. 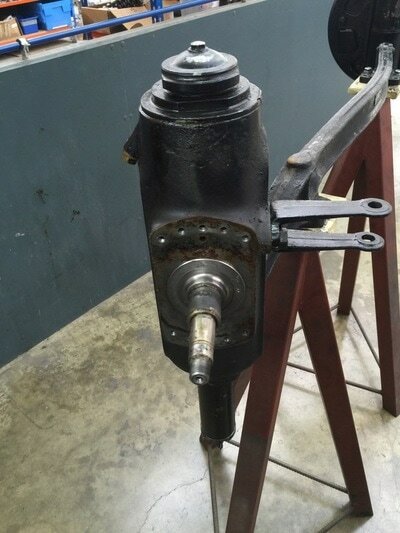 The pin is anchored into a beam axle at a particular angle, and while the whole assembly is easily removable, the pin (and the suspension built around it) are not. So service is done by disassembly and rebuilding. 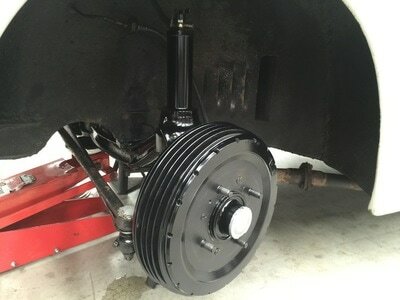 One advantage of the suspension is that the caster and camber are set and fixed by the factory, and remain largely unchanged regardless of the wheel's position, as well as through the life of the car. 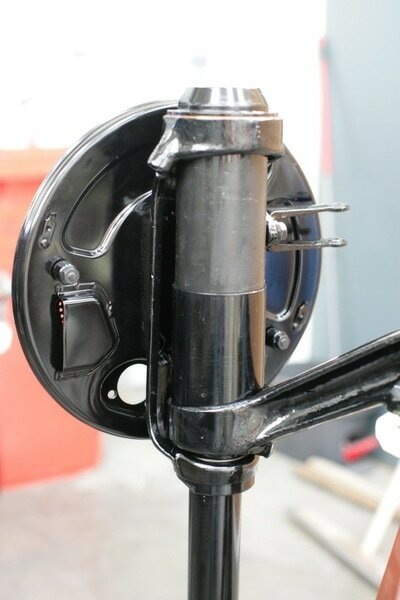 In addition, the shock setting is easily adjustable by hand at the top of the pillar, and one can change it from soft to hard in a moment, or even (as the Lancia Owner's Manual suggests) summer/winter. 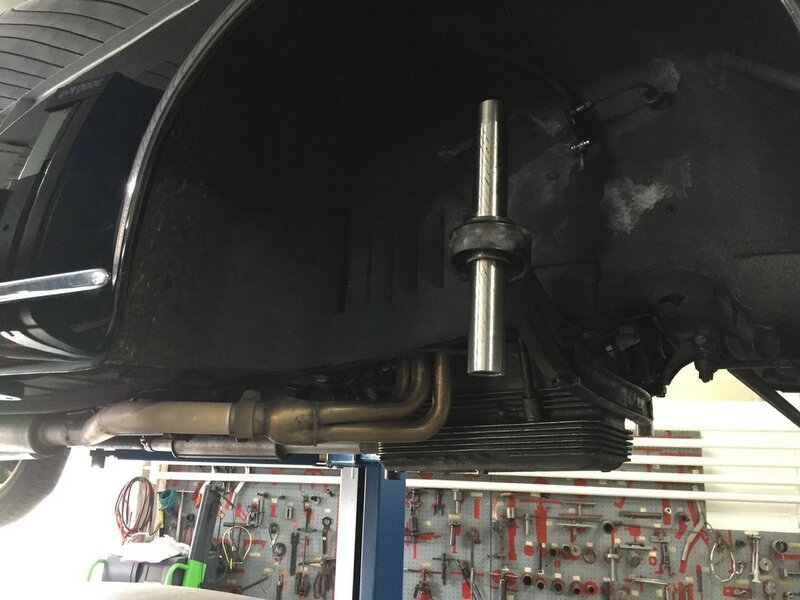 The sliding pillar is lubricated by oil from a reservoir, and part of an Owner's responsibility is to recharge the oil in the pillars, every 250-500 miles using a built-in plunger system. The system as supplied is to be used with the tires (and side loads) as designed, and so it is not well suited to changing tire sizes. It will take significant loading without deflection and is quite sturdy and has a remarkably tidy turning circle. 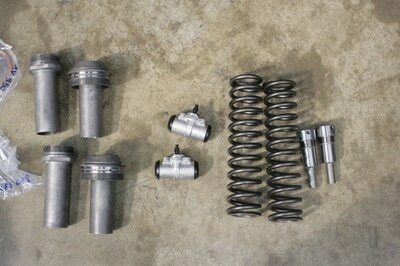 While durable, these suspensions now have some fifty years on them, and may need rebuilding. It is not a terribly complex task, but it is best suited to specialists. Most of the wearing pieces are available. One thing to note is that the geometry of the tube/beam angle may have been altered over its lifespan: Marc Bondini in Australia has been checking these carefully and noted some misalignments. 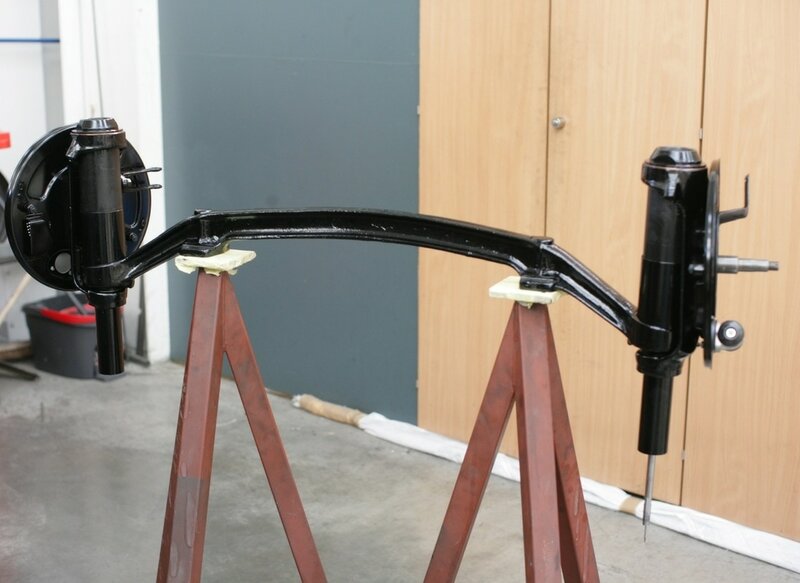 Below are some photographs of a suspension (mine), which was fully rebuilt by Thornley Kelham. They found some of the small internal tabs/washers heavily corroded, as well as some other larger pieces needing replacement. The suspension, when returned, was in fine shape, and the change very noticeable.